I accidentally found this eyeshadow palette while I was perusing through random items on ebay.ph. When I saw the name of the product Baked Eyeshadow, I was sold. I've been wanting to try baked eyeshadows for a really long time now. In addition to that, it's from Jesse's Girl Cosmetics. 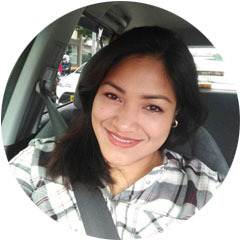 The company is based in the US and is currently endorsed by a popular YouTube beauty guru known as Julie G.
Jesse's Girl Baked Powder Eye Shadow Collection comes with nine different baked eye shadows. 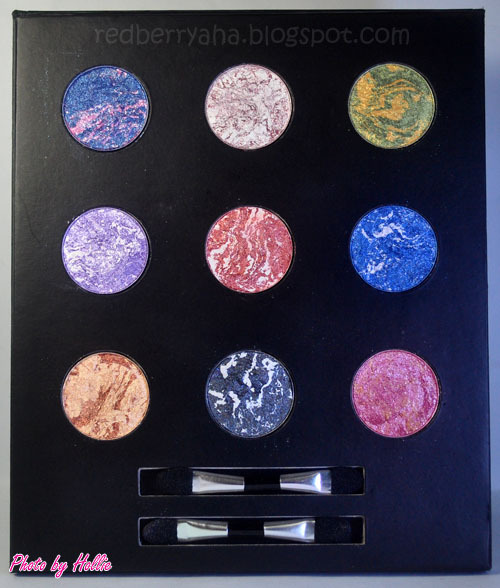 It comes with an all black, light weight packaging and a plastic front, so that each eyeshadow can be seen. 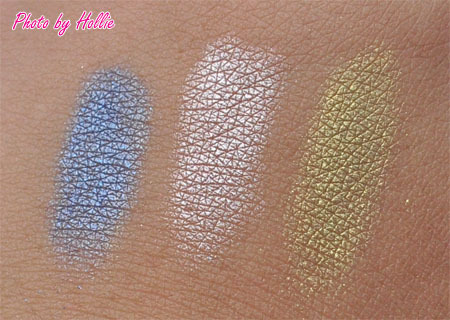 The shades in this collection are said to be different from their single pan baked eye shadows. 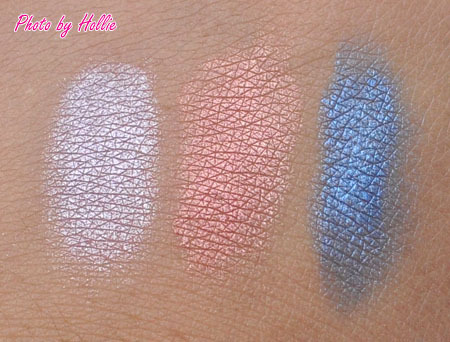 If you noticed on the swatches above, pigmentation of these eye shadows are awesome. The texture is surprisingly good. It is soft and applies smoothly either wet or dry. But do expect fall outs since they tend to be powdery once you dip an eyeshadow brush onto the product. 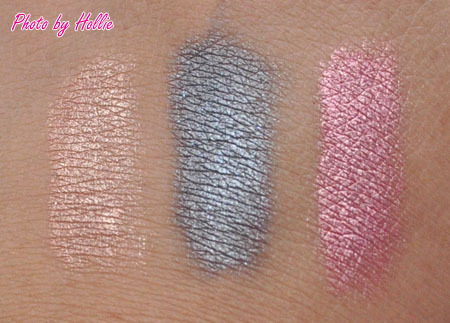 I just love the fact that the sheen of these baked eye shadows is not overwhelming. I would definitely recommend this palette if you're a fan of eye shadows that have a metallic or satin finish to them. This only retails for $6.99 on their website but you can definitely buy this at a much cheaper price on Amazon.com. It is also mentioned on their website that Jesse's Girl Cosmetics is also available at Rite Aid stores in the US. haf u tried MAC or Stila baked eyeshadows sis? Nice palette hun. 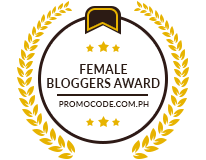 I am actually surprised how pigmented they are. 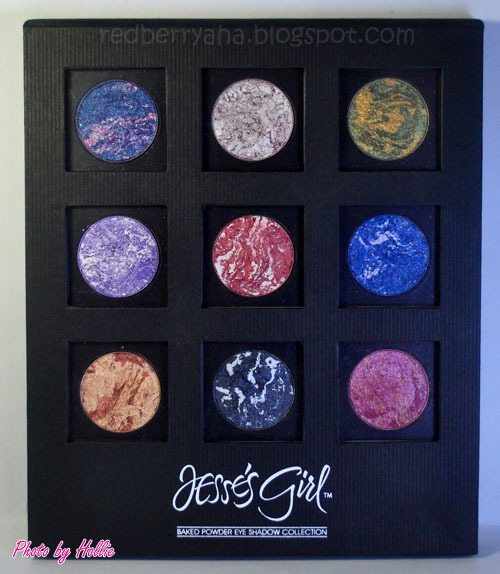 I have some eyeshadows from Jessie's Girl, from a long time ago. I love them! I have this palette..the shades are fabulous,I love them.